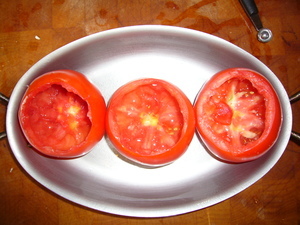 Cut enough of the bottom of the tomato off to create a 1.5 inch diameter disc. 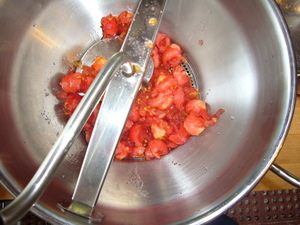 Using a mellon baller, hollow out the tomato reserving the removed pulp. 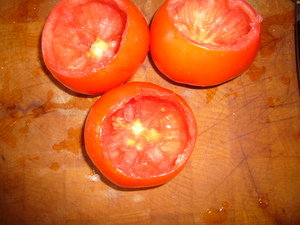 Make sure to NOT break through the skin or stem of the tomato. Reserve the bottoms. You should have better than a cup of reserved pulp. Put the pulp through a food mill. 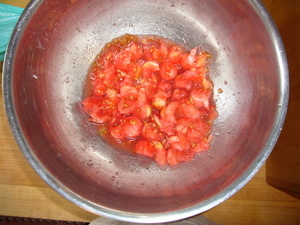 This will lend a nice texture to the tomatoes. Finely mince the garlic and the herbs. You can use the herbs of your own choice. 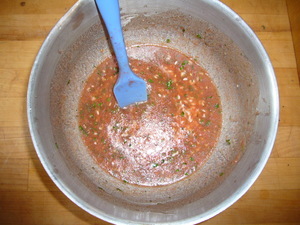 I used about 2T of chives and 2T of fresh oregano that turned out great!. Basil, parsley, thyme would all work well. 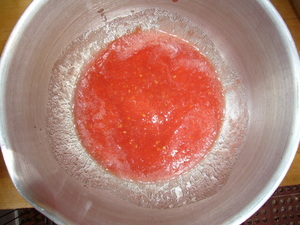 Add the olive oil as well, mix, and season with salt and pepper to taste. 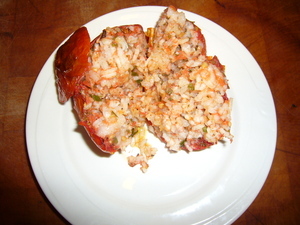 Add some red pepper if you want a little spice. Add the rice. and mix. 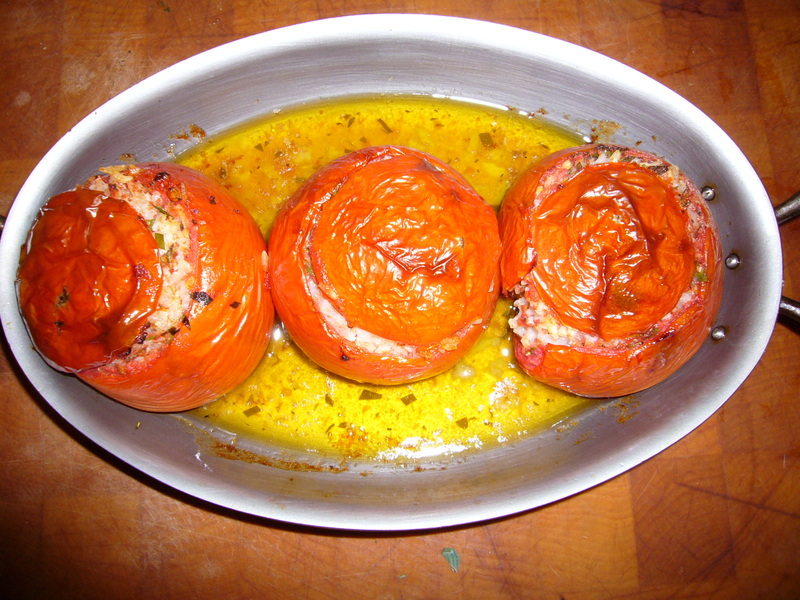 Put the tomato shells into a baking vessel, then fill with the tomato/rice mixture. Place reserved bottoms on top of the filling and bake at 400 for about an hour. Start checking them at about 45 minutes. They should start to shrivel.